"1...2...3...5...8...10!" That's how my toddler counts to ten, and quite frankly, it's adorable. I'm in no rush to ensure he can count perfectly anytime soon (I just have to get really fast at hiding in hide-and-seek!) but reading number books together is a fun way for him to feel like he's learning and knows lots of things, while subconsciously eventually sneaking a four into that counting line up. Quite frankly, there are some truly boring number books out there—let's skip those—but there are some fantastic ones too. Here's to counting books you won't mind reading again.. and again... and again! I LOVE Pride and Predjudice—it's my favorite book in the entire world, so this BabyLit primer is a home run for me. I love that it introduces elements of the story, and the illustrations are just so cute. From the team who brought you The Fantastic Flying Books of Mr. Morris Lessmore comes an alphabet tale extraordinaire! Once upon a time there was no alphabet, only numbers… Life was…fine. Orderly. Dull as gray paint. Very…numberly. But our five jaunty heroes weren’t willing to accept that this was all there could be. They knew there had to be more. So they broke out hard hats and welders, hammers and glue guns, and they started knocking some numbers together. Removing a piece here. Adding a piece there. At first, it was awful. But the five kept at it, and soon it was…artful! One letter after another emerged, until there were twenty-six. Twenty-six letters—and they were beautiful. All colorful, shiny, and new. Exactly what our heroes didn’t even know they were missing. And when the letters entered the world, something truly wondrous began to happen…Pizza! Jelly beans! Color! Books! Based on the award-winning app, this is William Joyce and Moonbot’s Metropolis-inspired homage to everyone who knows there is more to life than shades of black and gray. After you read this adorable bedtime book, you definitely will not take counting sheep for granted! Super cute premise, adorable illustrations and a great lesson to be appreciative of those helping you, be they real or imaginary. This book also gets points from me for having a diverse main character. This book is beautiful, I love the cute, colorful illustrations! This rhyming book introduces little ones to new animals while learning to count to ten. I love the ending where all of the animals meet up and are playing a game! This is anything but your average counting primer and is filled with charming illustrations, great rhymes and twelve ways to show love to friends and family, be it hugs, treats, or quality time. Where are the bears is a fun counting, lift-the-flap book. My favorite part of this book are the illustrations--the cute bears make you want to read it over and over again! I love these adorable hamsters! The illustrations and the situations these hamsters end up in are funny and unique, and the rhyming adds to the humor and re-readability. This is a VERY fun way to count to ten. Count—and bark—with a fun pack of pups in this Sandra Boynton classic. Serious silliness for all ages. Artist Sandra Boynton is back and better than ever with completely redrawn versions of her multi-million selling board books. 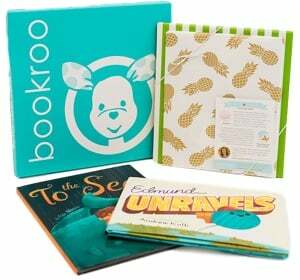 These whimsical and hilarious books, featuring nontraditional texts and her famous animal characters, have been printed on thick board pages, and are sure to educate and entertain children of all ages. Could there be a cuter way to learn colors and numbers? Announcing a new line of board books featuring the irresistible Teacup Pigs of Pennywell Farm. Small enough to hold in the palm of your hand, the Pennywell pigs are an adorable lot. They’re also naturals in front of the camera—especially the camera belonging to Richard Austin who, as their exclusive photographer, knows just how to capture their big personalities. The Pocket Piggies board books marry the inherent appeal of Teacup Pigs to the sweetness of the board book format. The photographs are full-color, full-page, and up-close. The subjects are classics: Pocket Piggies Numbers! celebrates an ever-growing crowd of piggies, from one to ten, through a rhyming text that’s sweet and charming, to read again and again: 1 Pocket Piggy in a boat, 2 Pocket Piggies in a cup, 3 Pocket Piggies in a basket, 4 Pocket Piggies with a pup!